Your insurance documents reflect your company. Documents are no longer simply things you give to your customers. They are a critical part of how you market yourself. Are your insurance documents helping you attract new business and retain your most valuable customers? Build on your insurance data. Why rekey customer data to create a document? Automatically extract and merge required data from your insurance policy database. Select batch, on-demand or interactive, to ensure the most efficient process for each type of insurance document you generate and data source you tap. Place the business user in control of document generation, to create insurance documents that are relevant, transparent and timely. Do customers have the patience to wait for your quote or insurance policy documents? Cut your turnaround time by using rules-driven document automation. "Effective customer communications can be the difference maker in driving retention and profitable growth." Traditional document generation systems require some level of programming proficiency. 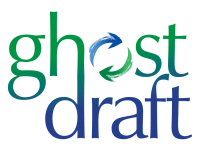 Our approach is to place control into the hands of those closest to the customer, so we partnered with GhostDraft for insurance document generation that puts the business user in charge. Seamless Integration A model containing all the commercial data elements you’ll need in your documents – in plain language terms – has been pre-integrated with the policy database. Simply Logical You don’t need to be a programmer to create the conditional logic that inserts customer-specific data into your customized forms and letters. Use Real-Time Commercial Data, Too If you need to collect customer data in real time, it’s easy to create an input form that captures commercial data points that are added automatically to your document. Bulletproof Authoring GhostDraft flags errors in your templates that would break the document, so you can be assured your insurance documents will be right the first time.